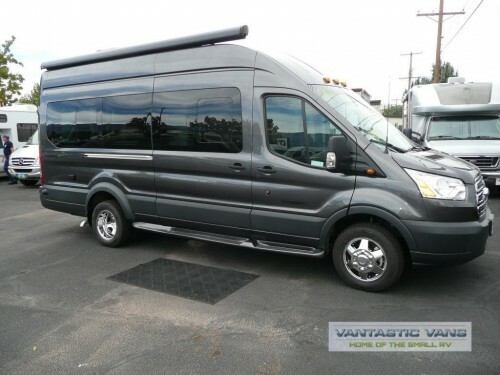 Take the perfect romantic getaway in the new Coachmen Crossfit Class B motorhomes for sale here at Vantastic Vans! Each of the two floorplans available come fully stocked with everything you need for an at-home feel no matter where you travel. Let’s check out all of the amenities you will have at your fingertips in this Coachmen Crossfit Class B motorhome review. Check out our Coachmen Crossfit Class B Motorhomes! Because of the exterior design, Class B motorhomes are the perfect size and style for an easy getaway. 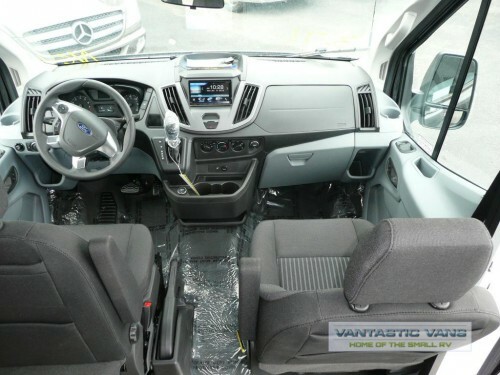 The compact size makes it feel like you are driving a normal sized vehicle, so maneuvering it through traffic will be a breeze. You will also find that each mile can be traveled in comfort in the luxury cab complete with large frameless windshield and back-up camera that increase visibility on all sides to keep you and your RV safe. Travel every mile in comfort in the spacious cab. Although the Coachmen Crossfit is small in size, its innovative design will still have space for everything you need. The galley kitchen will come complete with a Nova Kool refrigerator with bottom freezer and 2-burner cooktop for all of your cooking and food storage needs. Plus, there will even be space for a combo wet bath! And all the way at the rear, you can choose between a convertible sofa or booth dinette with removable table to provide sitting space during the day and sleeping space at night. Get more inside and out with an innovative design. RVing is one of the best ways to get away from everyday life and spend time just soaking in the beauty of nature around you, and the Crossfit has plenty of ways for you to do just that. Sit and relax under the shade and shelter of the Carefree armless awning complete with wind sensing technology and LED lighting. 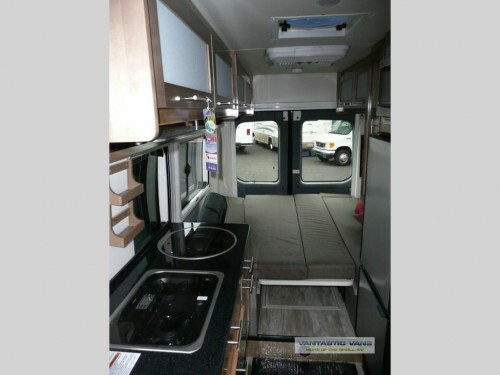 Or feel the cool breeze while napping inside your RV with the built-in rear and side screen doors. Easy travel and comfort amenities for two, make our Coachmen Crossfit Class B motorhomes the ultimate couple’s retreat. If you are ready to hit the open road in one of these luxury RVs, contact us or stop by our location today!